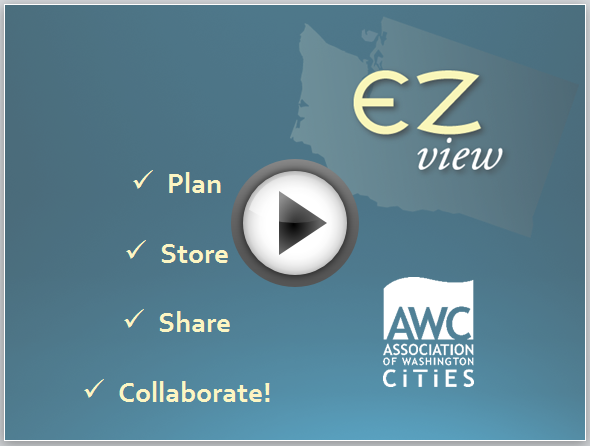 EZview provides project dedicated web sites for local governments and state agencies to plan, share, document and collaborate. Project dedicated web sites provide open, accessible and up-to-date project information. EZview is safe, secure and cloud-based. EZview is ideal for infrastructure projects, planning and public works projects and project managers interested in improving the quality and transparency of their planning, public works or infrastructure permitting and decision-making processes. EZview provides users the opportunity to easily publish content, documents, photos and video to the web in a secure, cloud-based environment. Presently, two service levels are offered – (1) basic and (2) custom. Offered to state agencies and local governments only. Custom configuration based on user need. Click here to start using EZview today!